If you haven't had a chance to enjoy Magical Dining month then there is still time left to experience one of the many great restaurants that offer a fixed three course menu for $33 a person. Orlando's newest attraction is Wahlburgers restaurant in downtown Orlando. The restaurant had a celebrity opening with the brothers Donny, Mark and Chef Paul Wahlberg along with Joey Fatone from New Kids on the Block fame. The event was well attended and participants got free Wahlburgers t-shirts. 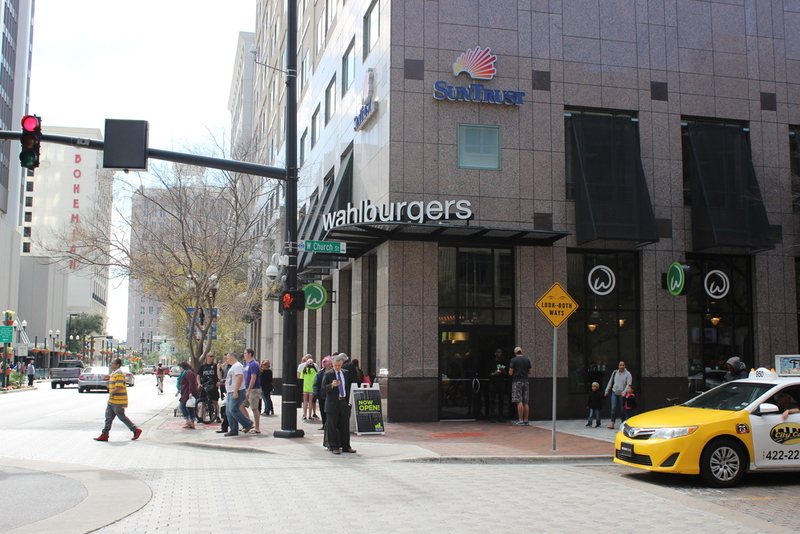 Wahlburgers is located on the corner of Orange Avenue and Church Street in the heart of downtown Orlando. 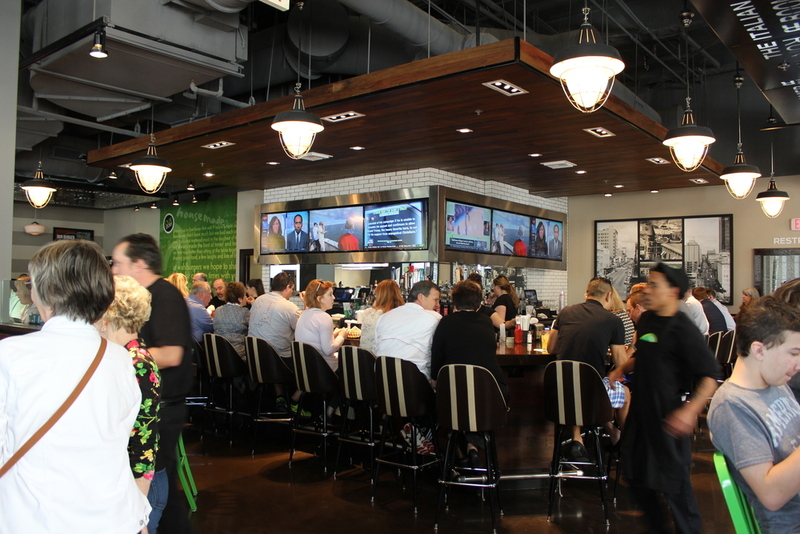 Wahlburgers is a sit down restaurant with a takeout area and a full bar area. The decor is all about the Wahlberg family, with movie posters and quotes, along with green chairs, accents throughout and a bank of TV screens at the bar. The food at Wahlburgers is delicious. The burgers are fresh and have their own unique flavors. 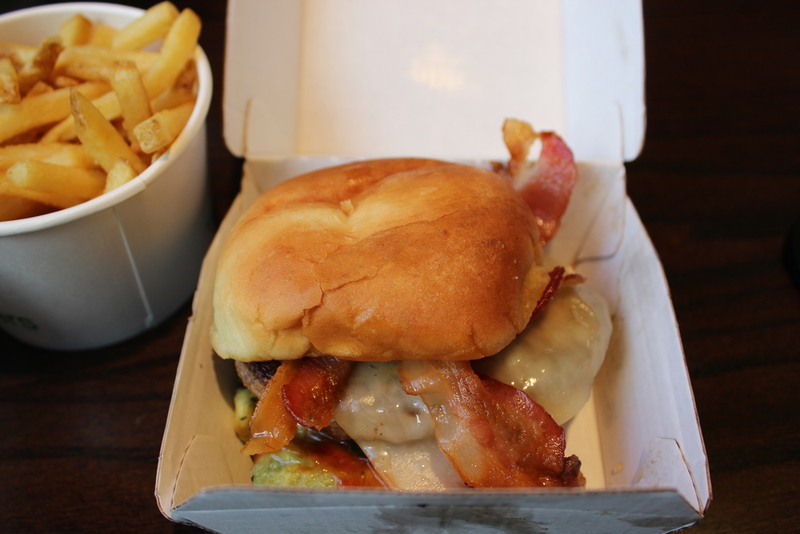 The menu offers different types of burgers such as the BBQ Bacon Burger (Pictured above) one of their Signature Burgers, The O.F.D. (Originally from Dorchester), another Signature Burger or the House Burgers. The menu also offers different items such as "The Melt", the Haddock sandwich and Thanksgiving Day (Fresh ground seasoned turkey, stuffing, Paul's orange cranberry sauce, roasted butternut squash and mayo). If you are looking for a unique taste try the Sweet Potato Tater Tots (Very Tasty) or the Onion rings (Thinly sliced fried Bermuda onions tossed in sea salt and parsley). 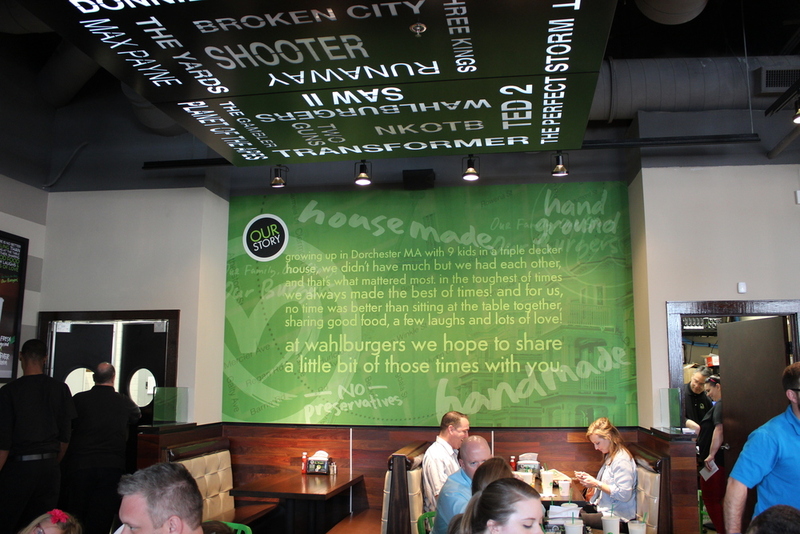 Wahlburgers isn't just hype they have good food and atmosphere, they are definitely worth checking out! I was whisked away to France for an hour or so one afternoon when visiting Bistro CloClo in Dr. Phillips. We truly enjoyed the French cuisine and atmosphere. The Bistro offers both indoor and outdoor seating. The outdoor seats are covered and provide the outdoor parisian cafe feel (Except with protection from the Florida rain). 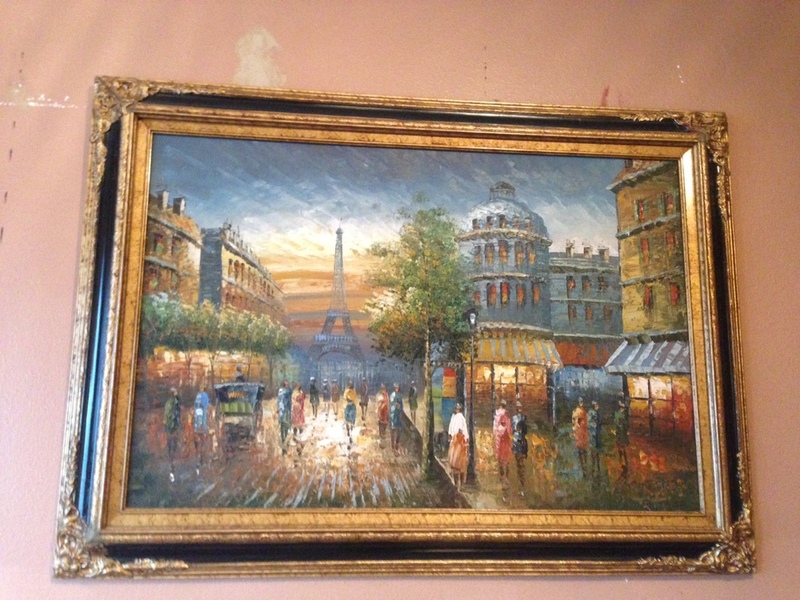 The interior has a nicely classic look with beautiful rich red walls and hung artwork. So now that the scene is set, let's talk about the food. I started off with a very tasty French Onion Soup (Soupe A L'oignon), seasoned just right not to salty! The entrees were very well prepared and quite delicious! I had the Coq Au Vin and my wife had the Butternut Squash Raviolli. Both were well executed and very enjoyable meals. 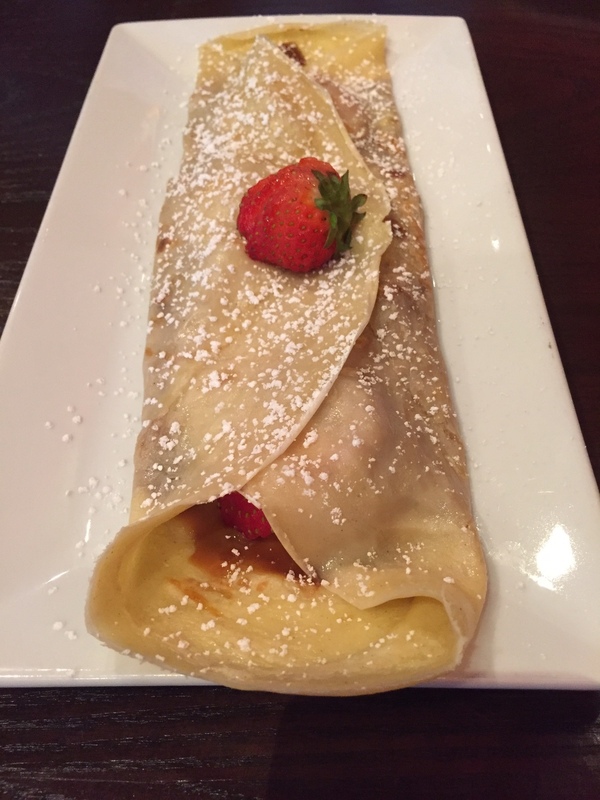 To top off a great meal we had their Crepes with Strawberries and Nuttela! It was an excellent ending to a great meal. If you are looking for a little taste of France then Bistro CloClo is a wonderful place to visit and enjoy a meal. Shake Shake the iconic hamburger stand is coming to International Drive. 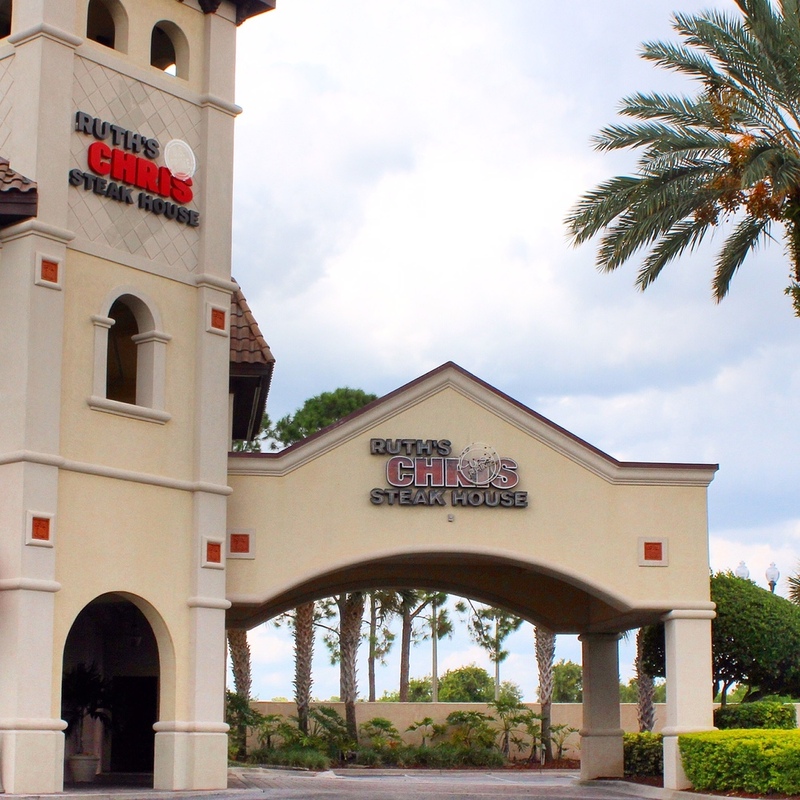 The International Drive location will open it doors for the first time on Wednesday August 19th at 11:00 am. Now all the visitors and guests attending conventions in the area can sample the classic hamburgers, fries and milk shakes from Shake Shack. Shack Shack also has a Winter Park location that opened last year and has been wildly successful. If you are in the area Shake Shack will serve you a burger experience that you will remember! I recommend the Smoke Shack Burger, it is really good, just take a look for yourself below! And of course you have to try one of their rich shakes. If you are going to stop by be prepared for lines because people are willing to wait for their burgers! If you are looking for a great place to eat that has unique food and rich history then the Columbia Restaurant is the place to go. The restaurant is known as Florida's oldest restaurant and has been family owned since it started in 1905. The original location was first opened in Ybor City (Outside of Tampa) in 1905. 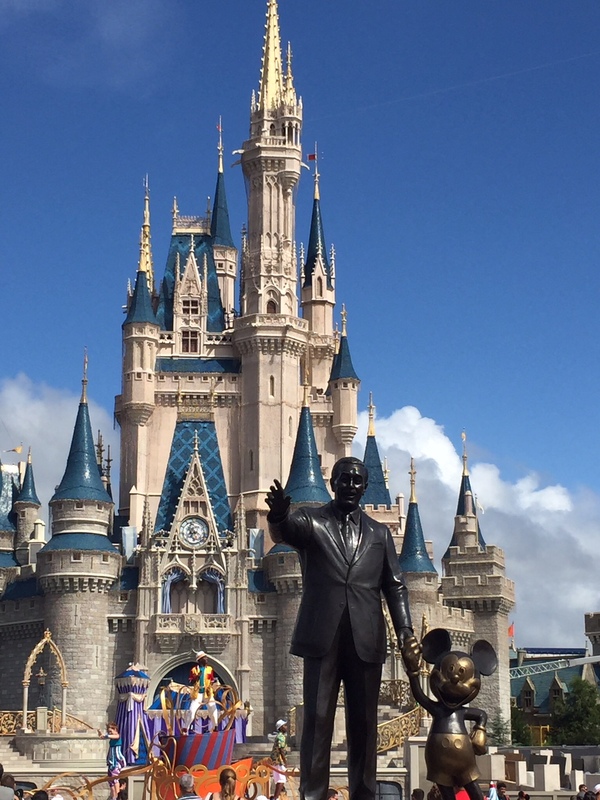 Now there are locations in Sarasota, St. Augustine, Clearwater Beach, Riverwalk Tampa, Tampa International Airport and Celebration (Not far from the Disney Parks area). The menu offers traditional Spanish cuisine such as paella and tapas along with a number of Cuban influenced dishes. A must try dish is their famous "1905 salad" tossed table side freshly for you. It is definitely worth trying, their special homemade dressing is excellent! The food is outstanding especially their Spanish rice which is served with each meal. 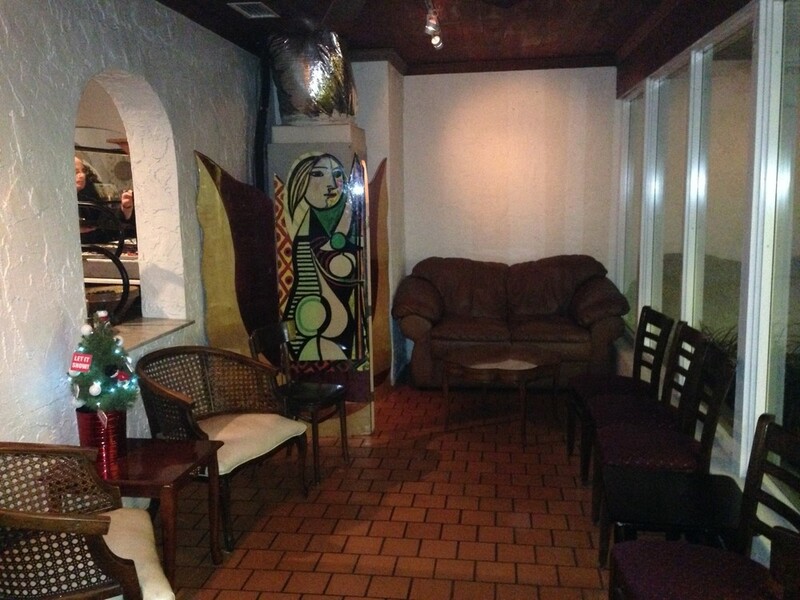 The seating areas are comfortable and make any visit enjoyable. You have the option of eating inside in the classic dining room with all the rich history and aesthtic or eat out on the patio and enjoy a great Florida day or evening. If you are looking for something different than the chain restaurant experience than give Columbia Restaurant a try it won't disappoint. Sunday - Saturday (11:30 a.m. - 10:30 p.m.) Open 365 days of the year. Serving Lunch & Dinner daily. Casual attire is fine, but they do not allow sleeveless shirts on men. The restaurant offers a Children's Menu. Live music Friday and Saturday nights from 8:00 p.m. to 12:00 a.m. in the Tapas Bar. The Lake Nona area is near and dear to our hearts. When we moved to the Central Florida area we moved to the promising Lake Nona community (which is southeast of the Orlando International Airport). This growing community is home to three new hospitals and anticipating growth of over 100,000 in the next few years. 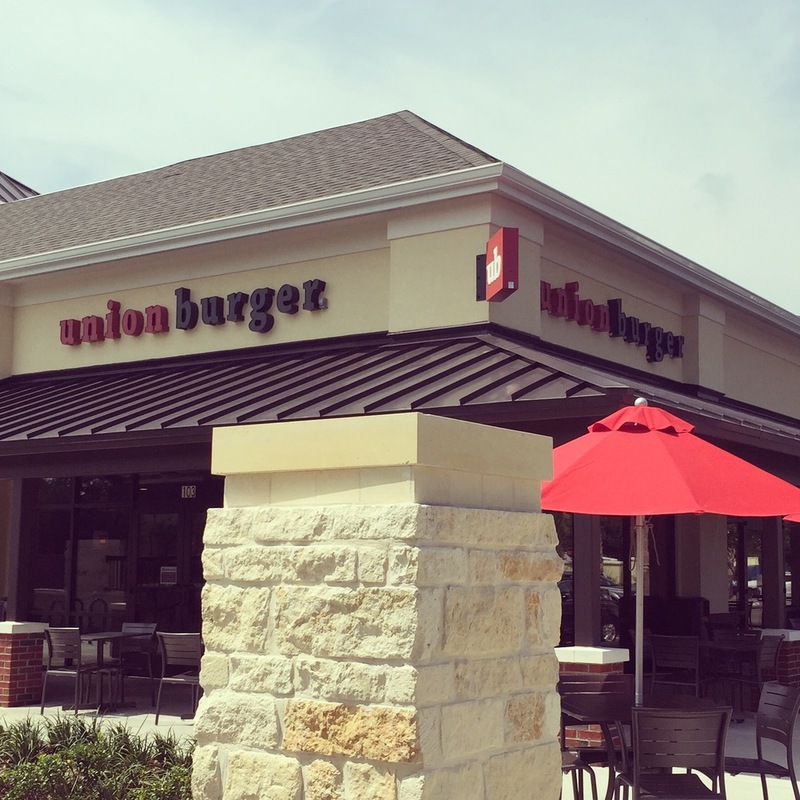 New to the Lake Nona area is Union Burger. This hip burger joint aims to please. The restaurant offers burgers, fish sandwiches, beer and wine, milkshakes and all the other "normal" things you could imagine when visiting a restaurant specializing in burgers. I tried the most popular burger, the Bourbon Street burger. 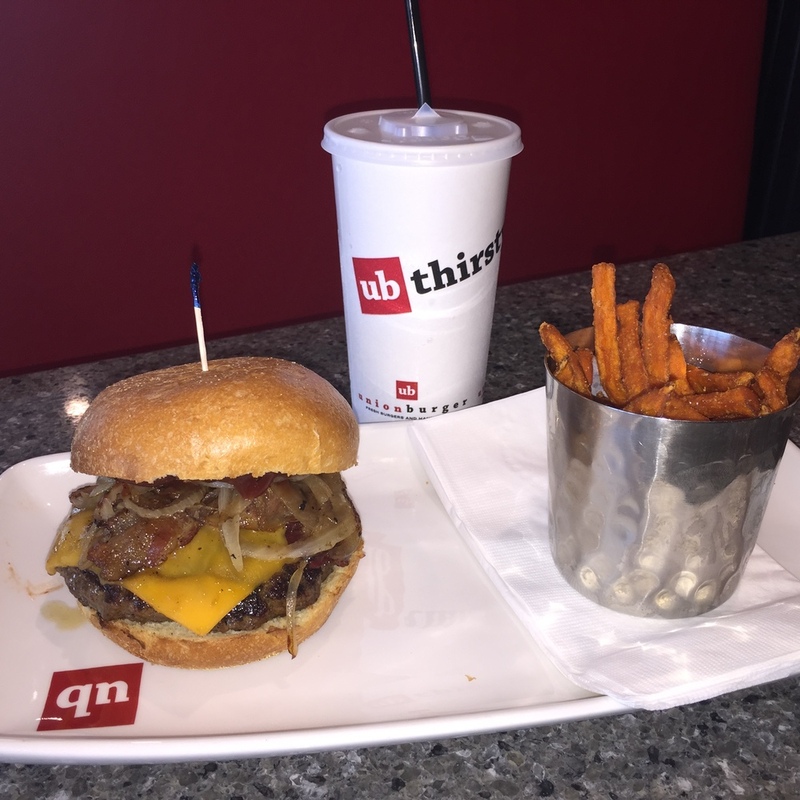 It comes with BBQ sauce, cheddar cheese, caramelized onions and smoked bacon. The burger is filled with everything I LOVE. Perhaps they can touch of chipotle mayo and name it after me. Well, I can dream. Bourbon Street Burger and Sweet Potato Fries. 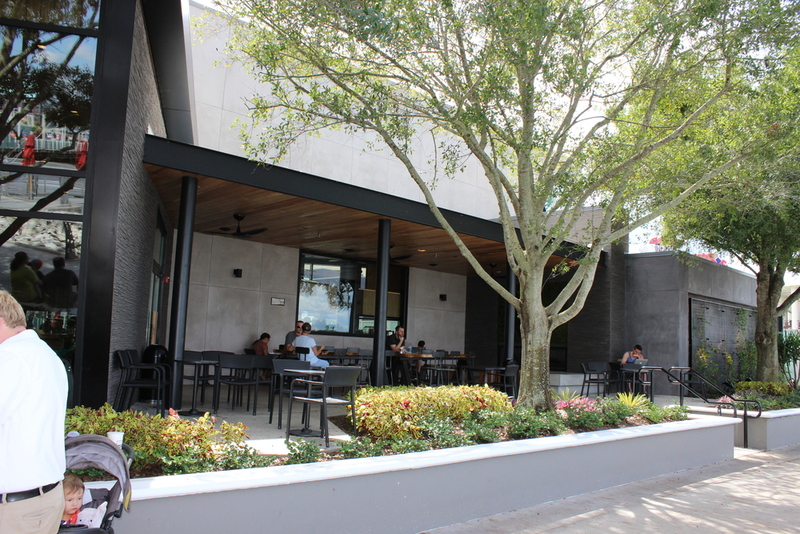 Stop by Lake Nona and visit Union Burger. You will enjoy the burgers, fries and beverages. 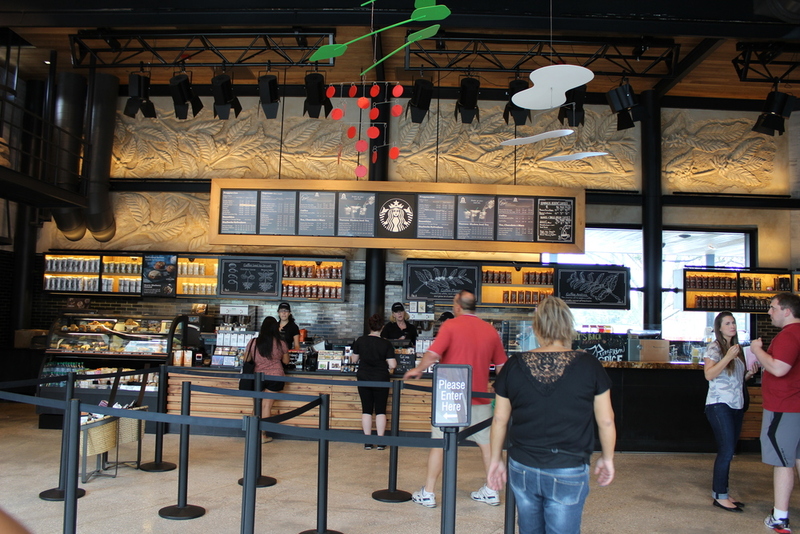 When visiting Downtown Disney (Soon to be Disney Springs) make sure you drop in and visit the new Starbucks Reserve! This particular Starbucks has some awesome design and aesthetic features that make it very unique. It is a special Starbucks Reserve store that offers special small batch coffees from around the world that are only available at Reserve stores. 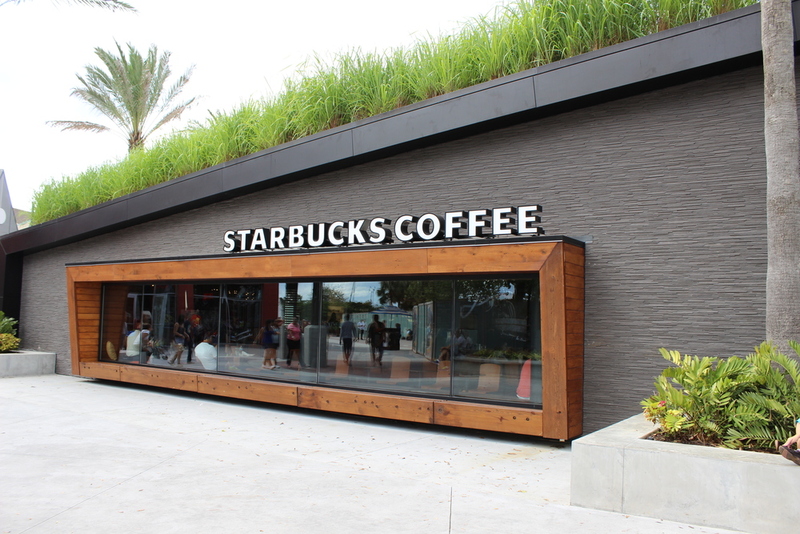 The store also has some unique design features like a touch screen wall that kids can write on and correspond with another Starbucks location and a living wall in the shape of the Starbucks logo. The store is also built to be environmentally sensitive by having a green roof that filters rainwater and reduce the stores carbon footprint. Even if you are not a fan of coffee it is worth stopping in just to see how cool the store is! Coming this weekend is the Park Avenue Walking Food Tour on June 6th and 7th. The event will highlight food from various Winter Park restaurants with a wide variety of cuisines. The cost is $47 per person. For more information visit their website at www.orlandofoodtours.com. The event will be held in downtown Winter Park on Park Avenue. Exact meeting location will be giving out after ticket purchase. The I-Drive 360 Complex has a number of new things but one specifically bright spot is the Tin Roof restaurant and bar! 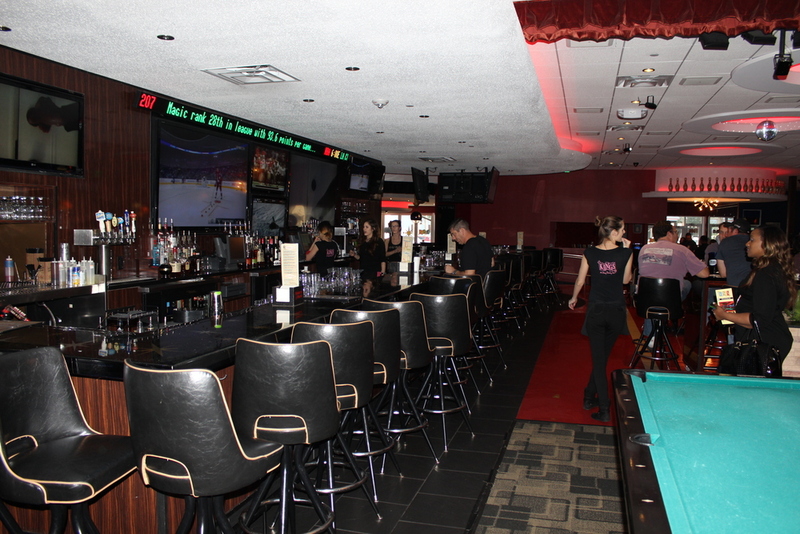 It is a great place to relax, enjoy live music and have a good time with great food, it's not your typical bar. 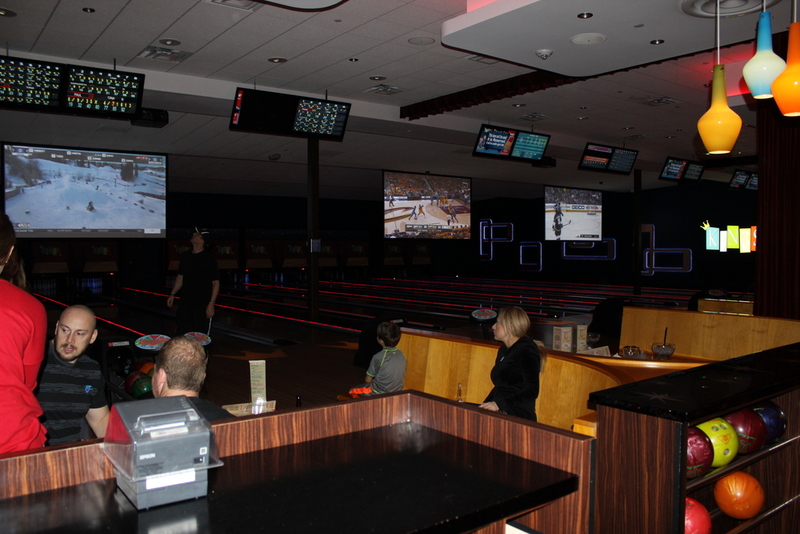 The atmosphere is pretty lively with big screen TV's on most of the walls and colorful background decorations and surroundings. Check out their website and get an advance schedule of their live acts that they showcase at least 5 nights a week. The food is really good with lots of flavor. Some of their recommended dishes are the the Red Hot Chilli Peppers Shrimp (RHCP), O-Eye Mac and Cheese (Really good!) and the Smashville 8oz Angus burger. You may want to also try their Brunch which is offered on both Saturday and Sunday. My particular favorites are the Hot Chocolate Pancakes, the Andouille Hash and their Fried Green Tomatoes appetizer. 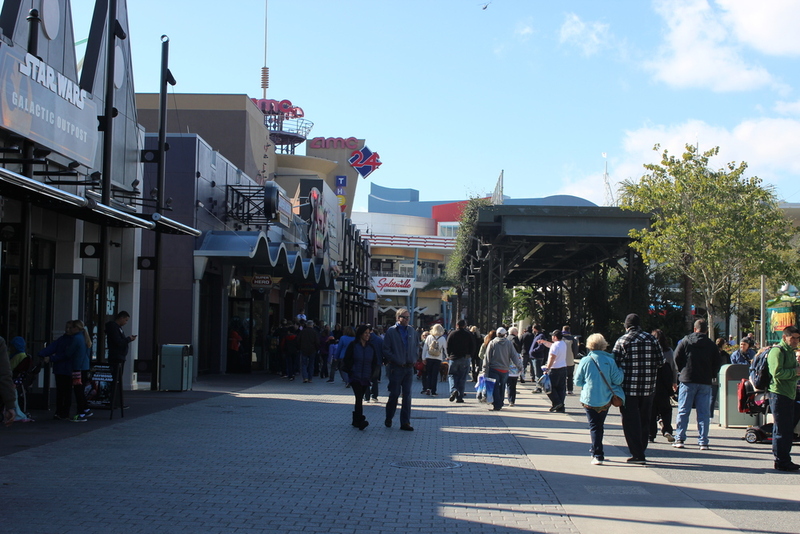 The Tin Roof is a great place to stop in after experiencing some of the attractions in the area like the Orlando Eye or Madame Tussaud's Wax Museum. 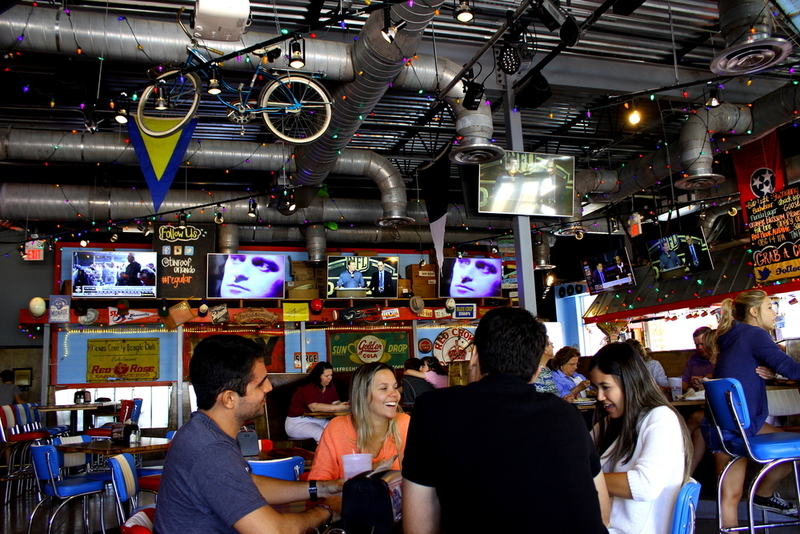 If you are looking for a fun atmosphere with good food then stop in and try Tin Roof. The resurrection of Christ is celebrated on Easter Sunday. Since moving to Orlando, we celebrated Easter by attending church, Dream Life Center, and then headed to a nice restaurant or dinner with family and friends. We would like to make some recommendation for Easter brunch. We are going to Ocean Prime for Easter brunch with friends. In fact we are celebrating our friend’s birthday there. 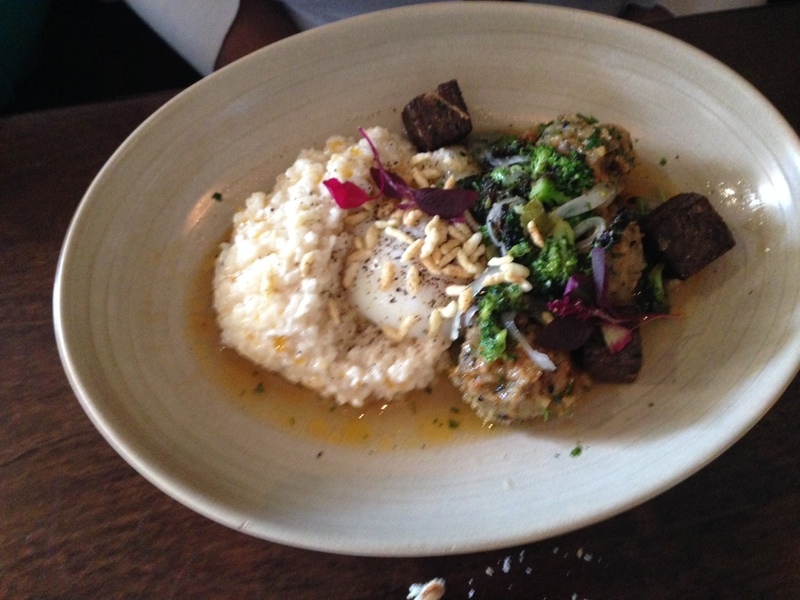 We’re excited about trying the braised short ribs and crab and eggs. Reservations are highly recommended. Call 407-996-8551. The Brick House offers a buy one entrée get one free on Easter. The special is offered one per table with a reservation Saturday and Sunday from 11am – 4pm. Try brunch specials like Smoked Salmon Benedict, Bison Benedict or Crispy Duck Hash. The Grand Bohemian Hotel offers an Easter jazz brunch featuring Daniel Jordan - sax & Ed Krout - piano from 10:00am - 4:30pm (brunch hours extended for Easter). This upscale hotel offers great food and ambiance. Brunch is typically $45 for adults and $15 for kids. If you are looking for great authentic Italian food in Orlando with a breathtaking view then look no further than Gargi's Lakeside Italian restaurant just north of downtown on Lake Ivanhoe. Gargi's has excellent service and wonderful food. 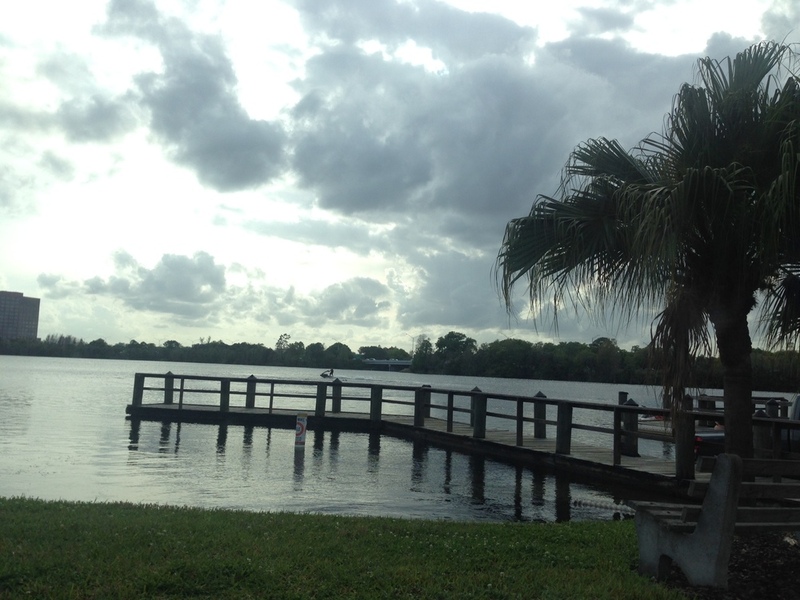 If it is a nice day choose to sit on the patio and enjoy the beautiful view of Lake Ivanhoe. The food Gargi's is outstanding. The menu carries many recognizable classic Italian dishes. I recommend trying their soup, the Stracciantelle. It is made with chicken broth, egg whites and finished off with wilted spinach. I also recommend the Marsala, it is well prepared and when they have it available try the Veal Marsala. I can also recommend the Veal or Chicken Saltimboca. Both dishes are executed quite well and have excellent flavor. 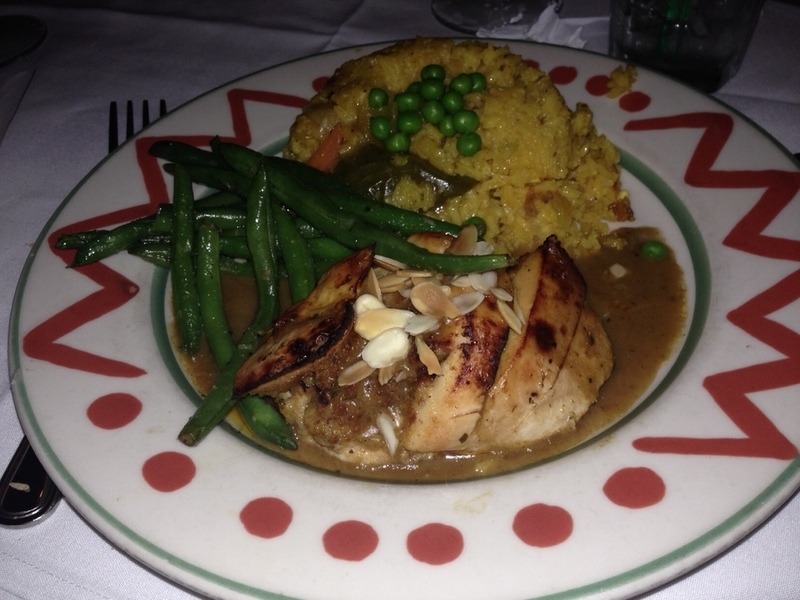 If you are looking to try Italian in Orlando then give Gargi's a try. 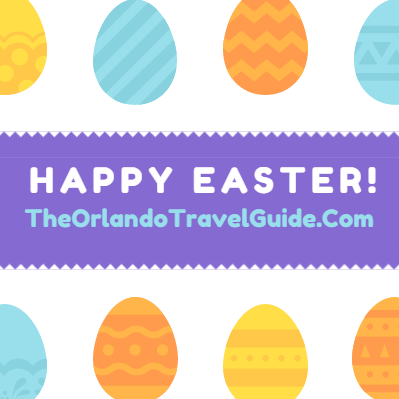 Orlando has some great places to have brunch as we have discussed in previous posts (See our post "Top 5 Brunch Locations in Orlando"). 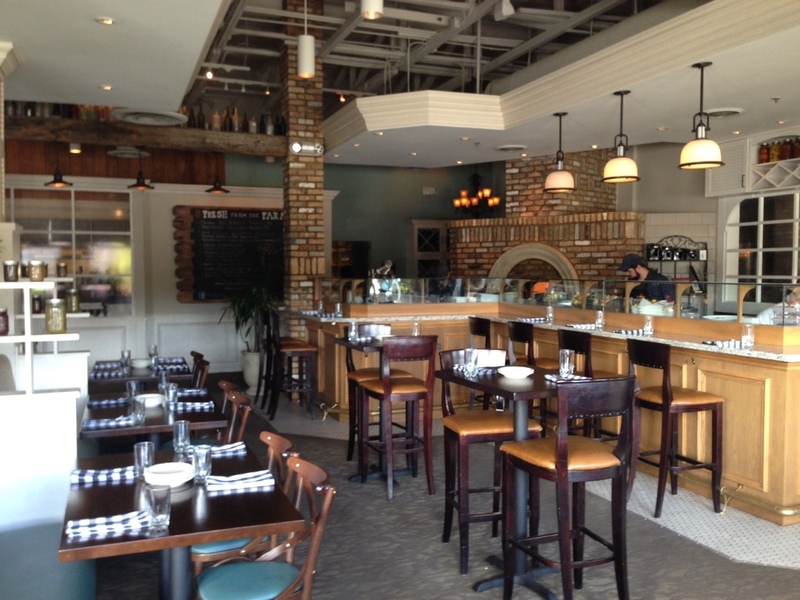 One of the restaurants listed in that post is Cask and Larder in Winter Park. They offer a Brunch Menu from 11:00 am to 3:00 pm on Sundays. One outstanding thing about their Brunch Menu is that there are traditional brunch items with a southern culinary twist. Nothing they serve is quite like you would expect but is pleasantly delicious! A great example of this is their Biscuit and Gravy served with a pepper jelly. They also serve Chicken and Waffles made with a corn bread waffle with cheddar, sweet relish, dill creme fraiche and smoked honey (Very different but, quite delicious!). When visiting Orlando Cask and Larder is a great stop for Brunch. They also serve lunch and dinner so anytime you stop by you are likely to have an delicious and enjoyable meal. If you are in the greater Orlando area then stop by Italio in Winter Park. It is a great stop for casual italian dining, Think Chipotle but italian. They offer three main options salad, pasta and wrap. The have a plethora of options for each and it can be individualized to fit any taste. 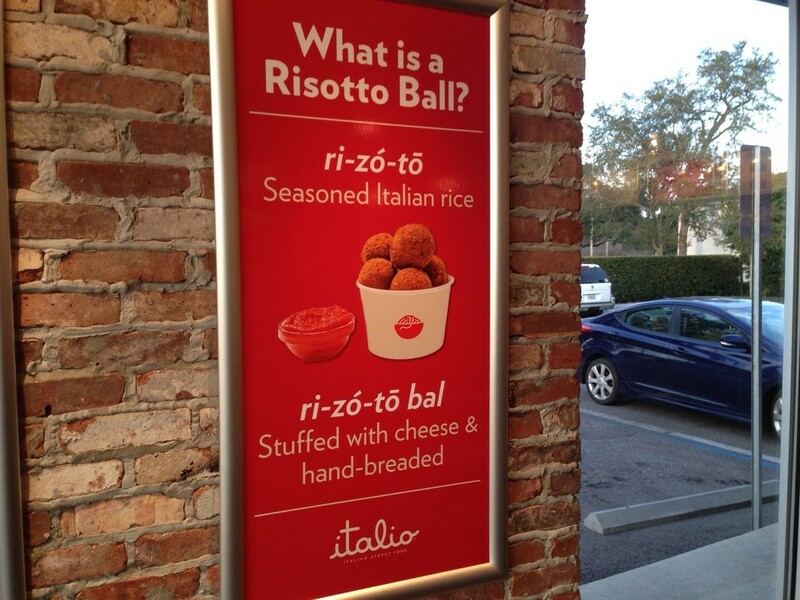 Italio also offers several appetizers such as Rissoto balls, Calimari, and Italio Sticks. They even offer Cannoli Chips, a tasty dessert treat. 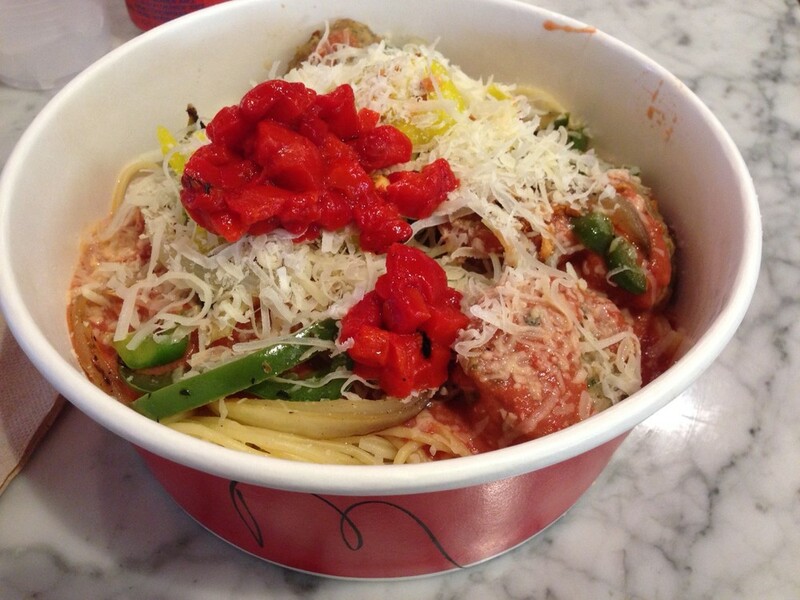 If you are looking for something new to try stop by Italio and bring your appetite! I admit I salivated when looking at Peterbrooke's Chocolatier's Instagram post. I had to comment on the white chocolate covered strawberries (they are my weakness). Little did I know that Owners Kevin and Jamie Wray actively post and respond to comments. We exchanged comments and next thing you know, Bill and I are visiting after church on Sunday. Peterbrooke Chocolatier sits on the corner of New England and Park Avenue in Winter Park. The door is always open, even in the summer because the smell of chocolate has a way of drawing people in to the shop. When you enter the chocolate shop, there are chocolate baskets all around the room. There is a section of dispensers that pour out chocolate covered raisins, almonds, milk duds and more. Keep walking toward the back of the store you will find the case of gelato (which was quite tasty). At the back of the store you will find the glass partition showing the workshop (I'm not sure how they resist the chocolate). 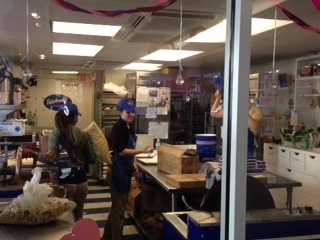 We were there to witness an employee making their popular chocolate covered popcorn. In fact, it is one of their best selling items. You can purchase a bag online for $9. After a quick sample, we could see why it's so popular. One unique thing about Peterbrook Chocolatier is that they can customize almost everything. They make cute cases out of chocolate that can be used to keep special items. Jamie Wray makes custom chocolate shoes (average cost is about $40). She can even make them with a red bottom! The store was buzzing with Valentine's Day preparation. 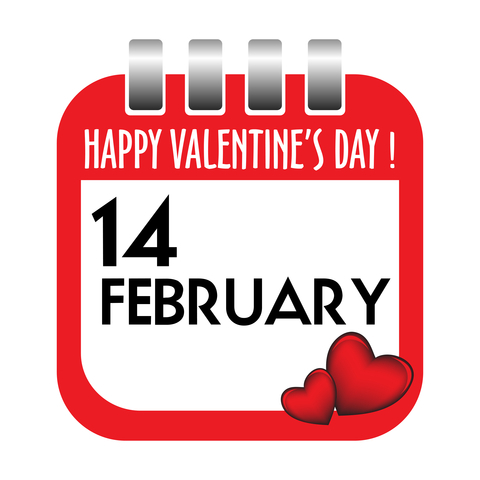 There were messages of love in English, French and Spanish. After talking with Kevin for a bit we enjoyed some gelato and the beautiful day in Winter Park. Make a stop by Peterbrook Chocolatier in Winter Park and follow them on Instagram at @Peterbrookewp. You will be drawn to the chocolate just like I was. 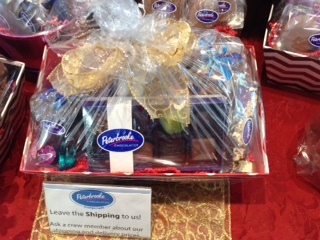 Please Note: There is another Peterbrooke Chocolatier in the Alafaya area of Orlando. This shop is also independently owned by someone else. 5. Brickhouse- The Brickhouse is a great destination to get great tasting chicken and waffles. 4. Nona Blue- Wonderful place to get a nice traditional brunch. The Chicken and waffles are pretty traditional but, very flavorful. Chicken and waffles is offered as part of their Sunday brunch menu. 3. Mellissa's Chicken and Waffles- You have to follow on Facebook and Twitter to find out where this food truck will be serving but, the chicken and waffles is worth it. The waffle is of high quality and the chicken is quite delicious. They offer great combinations such as the Buffalo Chicken Waffle, the OG (A waffle with country gravy, syrup and butter) or the Ultimate Combo (Chicken, a fried egg, bacon, gravy and syrup on a waffle). 2.Hash House a Go-Go- The chicken and waffles at Hash House is pretty unique because the waffle has bacon baked into it. The chicken is unique because they serve a full on Chicken breast with delicious and savory sage seasoning. 1. Chef Eddies- The most celebrated chicken and waffles in Orlando and the reputation is deserved. Chef Eddies offers more options than any other restaurant (10 different waffles) for chicken and waffles. Their waffles are quite flavorful and the chicken is excellent! Let us know what you think! We are always willing to try somewhere new! 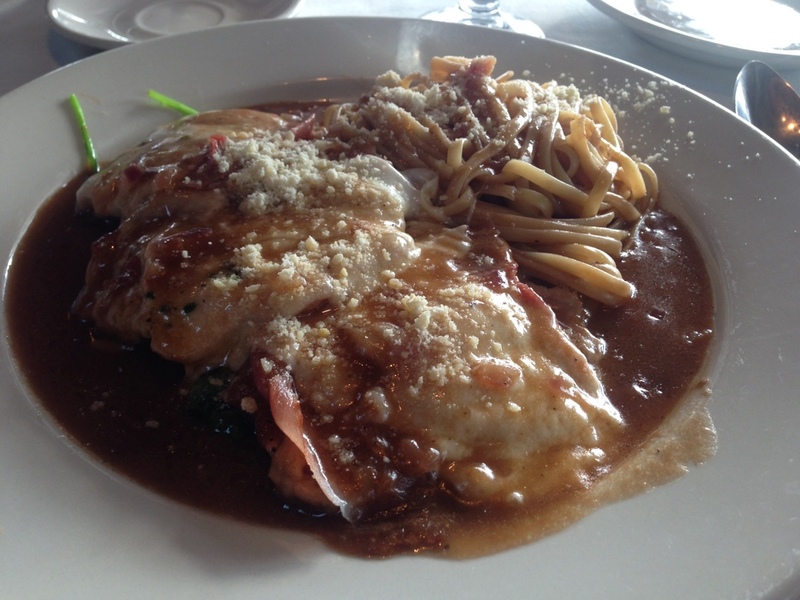 When you are looking for fine dining options in Orlando please consider Enzo's Italian Restaurant on the Lake. 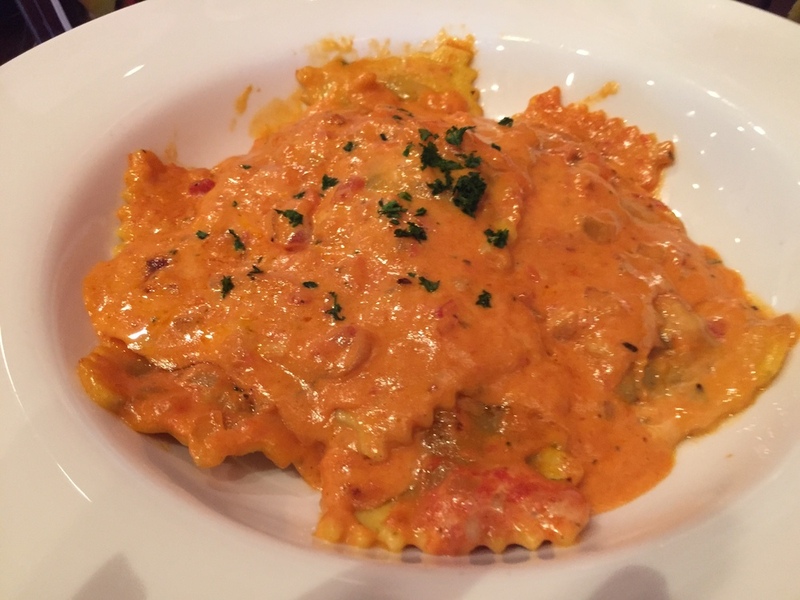 The restaurant is located in Longwood, which is quite a ways from the attractions are but, the drive is worth it if you like authentic Italian food and outstanding service. The menu is a classic Italian menu full of well executed dishes and the atmosphere is very comfortable but definitely a fine dining establishment.